Excellent Swedish kitchen knife, superb Sanvik Hi carbon steel to 58HRC, flat grind, superb slicer. 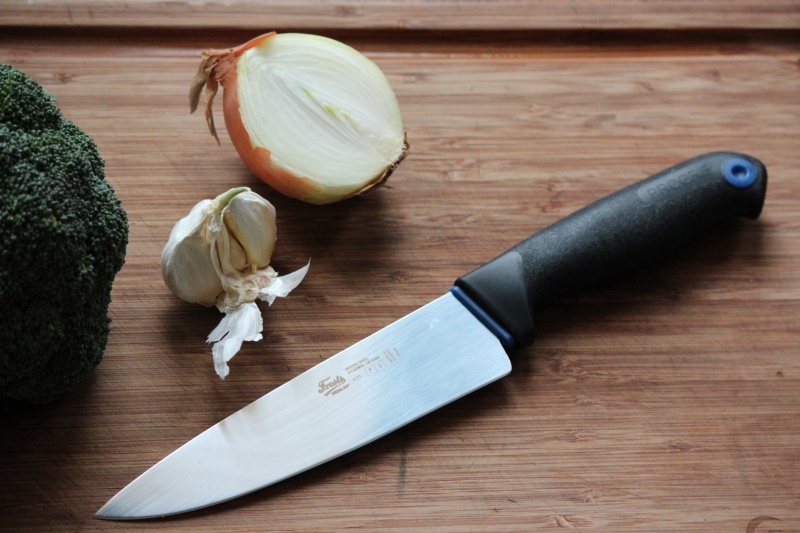 Pro grip handle is comfortable and secure and the knife is an excellent food prep/processor. OAL 12 1/2 Inches/Blade 7 inch/2mm thick. Hi Carbon Sanvik steel 58HRC, flat grind. Knife does not come with sheath or cover. Purchase through PayPal by using the "Add To Cart" button above or use the form below to order the Frosts Pro Grip Kitchen knife . 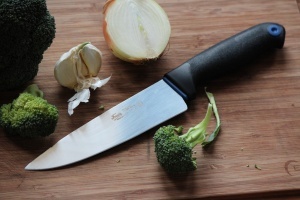 Feel free to contact us if you have any questions about the Frosts Pro Grip Kitchen knife .